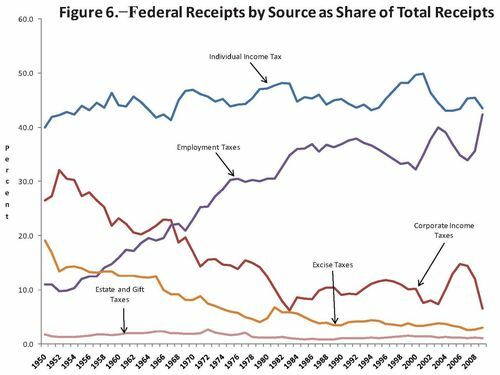 The U.S. Joint Committee on Taxation has produced a new historical overview of the U.S. tax system. This comes via Taxprof, which also notes a hearing on tax trends. 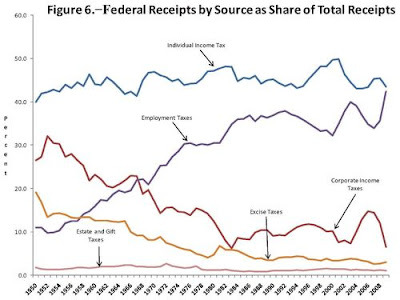 Look at the decline in corporation taxes, and the rise in employment taxes. This will be added to our new history page.